On December 13, 2017 ASCE designated the Bonnet Carré Spillway as a Historic Civil Engineering Landmark, the same date that the spillway was dedicated as part of the Mississippi River flood control in 1935. From left to right, ASCE New Orleans Branch President-Elect Rob Delaune, P.E. ; ASCE New Orleans Branch President Karishma Desai, P.E. 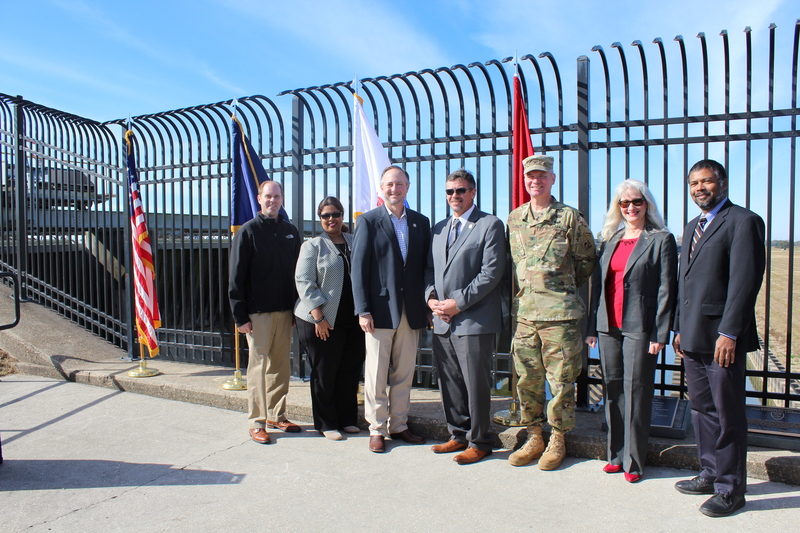 ; Louisiana State Sen. Gary Smith; St. Charles Parish President Larry Cochran; Commander Col. Michael Clancy of the United States Army Corps of Engineers, New Orleans District; ASCE National Past President Norma Jean Mattei, PhD, P.E. ; and Louisiana Section President Malay Ghose Hajra, PhD, P.E. 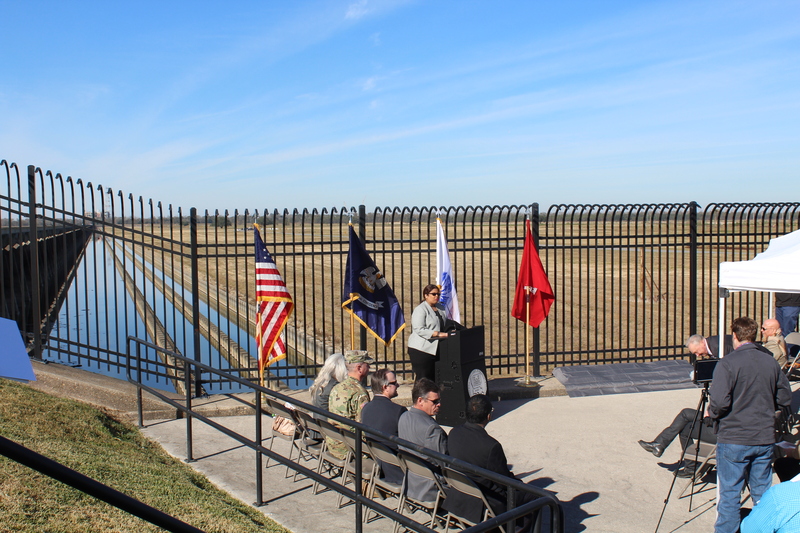 ASCE New Orleans Branch President Karishma Desai, P.E., gives the welcome address at the ceremony to recognize the Bonnet Carré Spillway as a Historic Civil Engineering Landmark.